The McCormick Bridgehouse & Chicago River Museum, located in a nearly-century old bridgehouse on the Michigan Avenue bridge, has welcomed its 200,000th visitor. Friends of the Chicago River opened the museum in 2006 to provide new access and understanding of the dynamic relationship between Chicago and its river. The cultural anchor of the Chicago Riverwalk, the museum is on the southwest corner of Michigan Avenue and Wacker Drive. “The McCormick Bridgehouse & Chicago River Museum is like no other museum in the city, a truly special place to visit for tourists and Chicago residents alike,” noted Margaret Frisbie, executive director of Friends of the Chicago River. 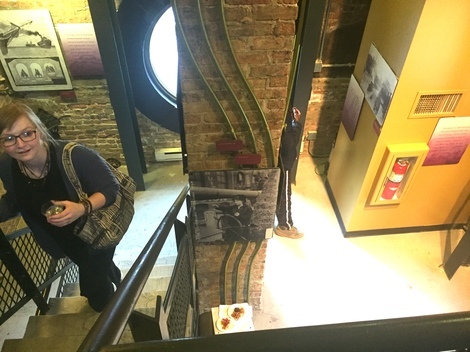 “People are amazed not only by the building but the fascinating story of how the Chicago River system and its bridges are at the heart of Chicago’s past, present, and future. As the river has improved, so has the popularity of the museum,” she said. Exhibits celebrate Chicago's river and world-famous movable bridges, and visitors learn why it is important to protect the river and how to participate in its renaissance. The bridgehouse, designed by Edward H. Bennett in the Beaux-Arts style, opened on May 14, 1920 to cannon fire, marching bands, ship horns and parades. 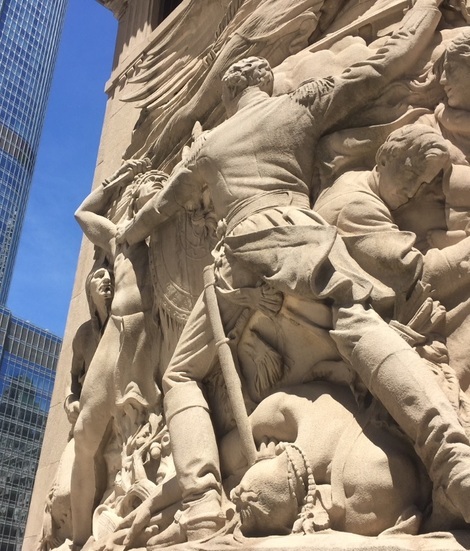 A bas relief sculpture on its façade memorializes the Fort Dearborn Massacre. The exhibits on the first floor paint a picture of Chicago when Native Americans and early European residents shared the rich ecosystem with a huge variety of plants and wildlife which thrived in the convergence of river, lake, woodland, and prairie. It also features a gear room which provides visitors the only chance see the working mechanics of any of Chicago’s world famous movable bridges. The second floor describes the way the Chicago River system transformed Chicago into one of the world’s busiest ports. The third level provides great views of the river while the fourth explains how the booming metropolis destroyed the river’s health, the river’s reversal, and what we did to address the harm. The top floor focuses on today’s healthy river, as well as offering spectacular panoramic city views. The museum was recently included in Thrillist’s “Most Chicago Things To Do In Chicago” and has earned a 4 ½-star rating on Yelp. The McCormick Bridgehouse & Chicago River Museum is open Thursday-Monday from 10 a.m. until 5 p.m., from May 12 through October 29. The museum is closed Tuesdays and Wednesdays. General admission is $6 for adults, children 6 to 12 and students with an ID, $5. Admission is free on Sundays. For more information, go to www.bridgehousemuseum.org.